I literally got an email less than a week ago asking if I was available to speak about the Reelworld film festival with its founder, Executive and Artistic Director, Tonya Williams. Of course I said I’d do it! Spreading the word about the festival is something that I am more than happy to do, as it was a platform created to empower emerging Indigenous and racialized storytellers showcase their films. Some of the issues in this year’s festival range from climate change, transgender rights, women’s rights, globalization, and racism and indigenous rights. My interview with Tonya was brief (after the interview was over, Tonya and I chatted almost an hour about politics!) but I loved how she spoke enthusiastically about this years’ films and filmmakers, and expressed that although organizing the festival is her passion – a lot of hard work and discipline goes into making it a success. I was honoured to have the opportunity to interview Tonya for a second time (I previously interviewed her in 2015), so I spared no time catching up and jumping in and asking her a couple of questions. What can we expect with the current festival? Free industry panels at the Toronto Reference library – we really want people to come out for that. You can hear about how the industry is, how you can get in it, how you can move your own career ahead, and how you can move your project ahead. Our focus is about professional development. Yes, we want to screen these films, but we want that filmmaker to have an experience. We want their career to move forward – we don’t just want them to screen a film – we set up meetings for them, they get an opportunity to meet mentors in the industry. There’s only 5 days in the festival, we use those 5 days to cultivate and help their career in some way. Why do you feel that people of diverse backgrounds still need a platform to showcase their work? I think the struggle still continues. We haven’t arrived. We are always shifting, always moving – we slide back, we move forward, we’re always pushing something forward. I don’t think any of us – any person of colour could sit back and say that we are done. Once I finished my brief chat with Tonya, I was able to ask some filmmakers what inspired their films. Roobha is based on a short story by the respected writer and poet Shoba Sakthi. 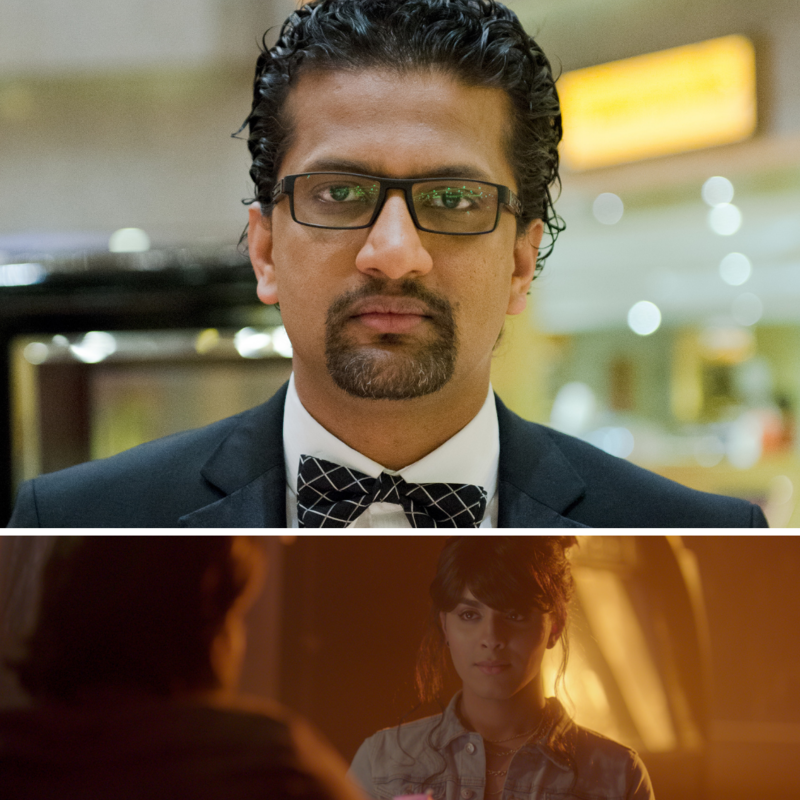 As soon as I read Roobha, I knew it was going to be my next film. The first thing that struck me about Shoba’s story was the spontaneous love between Roobha and Anthony. I felt that this forbidden romance between a young trans-woman and an older Tamil family man was unique and universally appealing. Roobhas out there who are living a fake life. Hopefully, this film can help launch a healthy dialogue about acceptance and respect for the many voiceless transgender members of our communities. 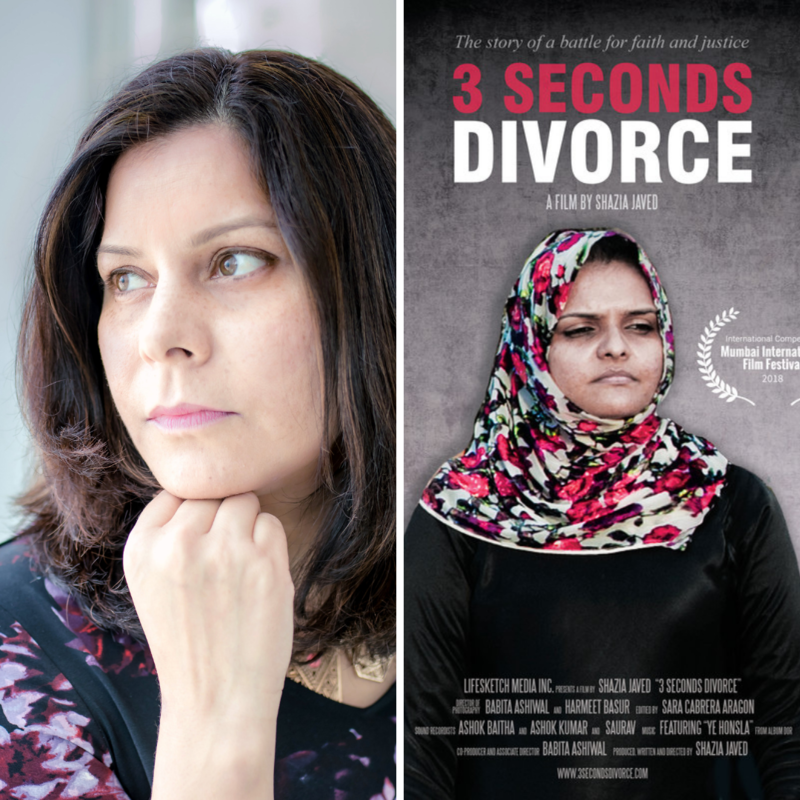 My film was inspired by the Muslim women who have been actively campaigning on the ground against instant, oral divorce and other oppressive family laws in India. I wanted to create a platform to amplify their voice. We cannot be quiet when practices which deny women their agency and dignity are sanctioned by the law and patriarchal faith-leaders. NIGHT is inspired by an event I observed a few years ago while going out. As I was waiting outside a nightclub in the south of France, I saw a bouncer deny a group of Moroccan guys entrance, without explaining them why, even though before this group he had let in all other people, who were all white. That moment left me feeling incredibly conflicted — should I have spoken up for these guys? Or should I have remained quiet in order to not draw any attention to the moment? What was my duty as a bystander witnessing micro-aggressions like that? The moment stuck with me for a long time, and eventually led me to making NIGHT. What inspired us to make “The Color of Medicine: The Story of Homer G. Phillips Hospital was the fulfillment of community and obligation to keeping black excellence and black history alive. What I mean by this is the inspiration for sharing this untold story was given to me by the daughter of Dr. Earle U. Robinson, Jr., Rebecca Robinson, our co-producer. Her father who trained at Homer G. Phillips Hospital, in the late 1950’s followed in his father’s footsteps, Dr. Earle Robinson Sr., who was one of the first 27 graduates of Homer G. Phillips Hospital when it opened in 1937 and closed 42 years later in 1979. Dr. Earle U. Robinson, Jr. was my family’s next door neighbor in Indianapolis, Indiana and when he asked he to tell his story, I felt it was my obligation as a ‘Labor of Love’ for his family, for my family, for the city of St. Louis and for black history worldwide. We cannot move forward or preserve our history unless we stand on the shoulders of giants and that is what Brian, Rebecca and I did when we made this documentary. This story must live on and must be shared with the world. A Touche of Spring is a film about how a woman hurt by love and desperate about life gets relief from her journey of escaping. In this film, I want to show the silent sufferance, tolerance and effort when we face the misery and the cruel side of our human life. The origin of the film came from my birth place, Dazu, a small town in the province of Sichuan in China. Dazu is well known because of its millennium sculptures of Buddhism. The whole film is inspired by a Buddhist thinking on our human’s life: to live is to suffer, the happiness is ephemeral that will leave us soon or later. As the director of the film, I wish to give the comfort and hope to the people who don’t give up the happiness although they are struggling in their life. My film spurred out when I went to university and moved away from home for the first time. Within a month, I felt extremely homesick. One of the main causes for my homesickness was food. I wasn’t eating my mom’s home-cooked Vietnamese food on a daily basis anymore. I realized that love came in all types of ways, one of them being through food. The festival runs from Oct 9 – 14. To check the festival schedule, please click here. Previous Post Ruby Ibarra: Brown Girls Rap Too!